An all-new Adidas Yeezy Boost Triple Black is coming soon. But how soon exactly? 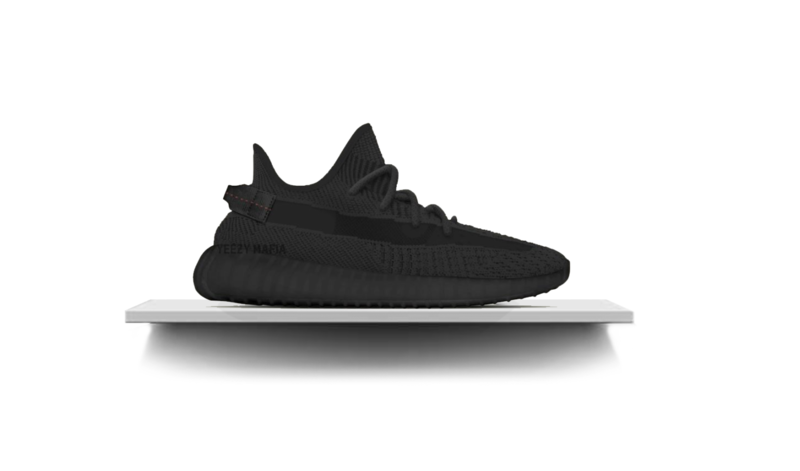 It’s been quite some time since we got a dark V2. And from the reactions we’ve seen following that announcement, looks like this drop’s been long-awaited. UPDATE: As per Sneakernews, the highly-anticipated all-black Yeezy Boost 350 V2, is dropping on June 22nd, 2019. Kanye’s steady stream of Yeezys continues this season with more colorways of old pairs, and brand new designs we can’t wait to get a closer look at. A couple of days ago, a new “Triple Black” version of the Adidas Yeezy Boost 350 v2 was revealed. And sneakerheads welcomed it with arms and comments wide-open. Well, ever since the Adidas Yeezy Boost Beluga 2.0, Adidas and Kanye have not released a dark 350 V2. And though the Triple Blacks lack the creativity we’re looking for, to see ‘Black’ after so many earthy, and honestly ‘Dull’, iterations is quite the change. Dubbing the same semi-transparent mesh midfoot stripe, introduced in the Yeezy Statics back in December. The new all-black Yeezy holds the same infamous 350 V2 silhouette with monotone black uppers we haven’t seen since the Breds. And much like its 2017 predecessor, the Adidas Yeezy Boost Triple Black will also feature red stitching on the heel tab. Ok, so if the makers of these Triple Blacks do it right this time, in terms of stock numbers, we’re looking at a very valuable pair. Looking at the Yeezy Boost 350 V2 Bred, that pair is still standing tall in the aftermarket. Selling for a high average of $800+, with bigger sizes going for $1,600. So, we’re crossing our fingers in hope for this to live up to the demand and be a limited release, without the regional exclusivity. If this becomes a reality, then maybe, just maybe, Yeezys will go back to owning the Billion dollar sneaker reselling industry. Either way, this upcoming all-black pair is definitely a must-cop, and your sneaker bot shall be put to use once again. With no official release date for the next big Yeezy, the Adidas Yeezy Boost Triple Black joins the list of ‘Coming Soon’ Yeeyzs. But what Yeezys are we still waiting for this year? Now that the Nike X Off-white collaboration is over, will the Adidas Yeezy boost line step up again? Could it be that Kanye and Virgil are taking turns in ruling the sneaker industry?